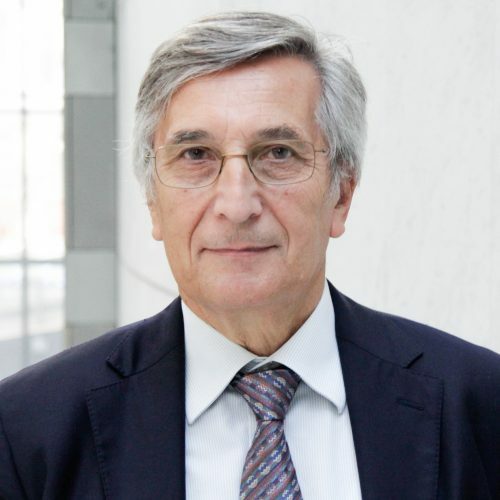 Sergio Focardi is professor and researcher at the Finance Group, ESILV EMLV, of the Pole Universitaire De Vinci, Paris, and a founding partner of The Intertek Group, Paris . Sergio is a member of the Editorial Board of the Journal of Portfolio Management. He has (co-)authored numerous articles and books. Sergio's research interests include the econometrics of large equity portfolios, for which he has developed proprietary models, and forecasting trend reversals and large market swings. He consults on financial modeling. Journal of Portfolio Management, 42 (5), p. 94-106, 2016. Journal of Banking and Finance, 2016. Frontiers Applied Mathematics and Statistics, 2015. The Journal of Portfolio Management, 41 (4), p. 145-151, 2015. Frontiers Applied Mathematics Statistics , 2015. CFA Institute Research Foundation, 2014 (3), 2014.
International Journal of Theoretical and Applied Finance, 16 (4), 2013. Journal of Portfolio Management, 38 (3), p. 104-119, 2012. Mainstream economics has undergone a significant shift over the past century from being categorized as a science based on empirical studies to being categorized as an analysis of deviations from an idealized economic scenario. The underlying impact of this change has serious implications in situations that are outliers to the norm—for example, the most recent financial crisis. Review of Futures Market, 19 (Special Issue), p. 7-38, 2011. This paper discusses the state of the art of high-frequency trading (HFT), its requisite input, high-frequency data (HFD), and the impact of HFT on financial markets. The econometrics of HFD and trading marks a significant departure from the econometrics used when dealing with lower frequencies. In particular, ultra HFD might be randomly spaced, requiring point process techniques, while quantities such as volatility become nearly observable with HFD. At high frequency, forecasting opportunities that are different from those present at lower frequencies appear, calling for new strategies and a new generation of trading algorithms. New risks associated with the speed of HFT emerge. The notion of interaction between algorithms becomes critical, requiring the careful design of electronic markets. Research Foundation of CFA Institute, 2010 (1), 2010. The investment industry was severely affected by the global financial crisis of 2007–2009, and changes will have to occur. In this monograph, investment industry players, observers, recruiters, and academics are asked to offer their opinions and ideas about what they think the most profound changes are going to be. The American Economist, 55 (1), p. 19-30, 2010. Economic science is generally considered less viable than the physical sciences. Sophisticated mathematical models of the economy have been developed but their accuracy is questionable to the point that the present economic crisis is often blamed on an unwarranted faith in faulty mathematical models. In this paper, we claim that the mathematical handling of economics has actually been reasonably successful and that models are not the cause behind the present crisis. The science of economics does not study immutable laws of nature but the complex human artefacts that are our economies and our financial markets, artefacts that are designed to be largely uncertain. We could make our economies and our markets less subject to uncertainty, and mathematical models more faithful to empirical data by introducing more rules and collecting more data. Collectively, we have decided not to do so and therefore models can only be moderately accurate. Still, our mathematical models offer a valuable design tool to engineer our economic systems. But the mathematics of economics and finance cannot be that of physics. The mathematics of economics and finance is the mathematics of learning and complexity, similar to the mathematics used in studying biological or ecological systems. Studies in Nonlinear Dynamics and Econometrics, 14 (2), p. 1, 2010, ISSN: 1558-3708. Instead of assuming the distribution of return series, Engle and Manganelli (2004) propose a new Value-at-Risk (VaR) modeling approach, Conditional Autoregressive Value-at-Risk (CAViaR), to directly compute the quantile of an individual asset’s returns which performs better in many cases than those that invert a return distribution. In this paper we explore more flexible CAViaR models that allow VaR prediction to depend upon a richer information set involving returns on an index. Specifically, we formulate a time-varying CAViaR model whose parameters vary according to the evolution of the index. The empirical evidence reported in this paper suggests that our timevarying CAViaR models can do a better job for VaR prediction when there are spillover effects from one market or market segment to other markets or market segments. Mathematical Methods of Operations Research, 69 (3), p. 379-394, 2009, ISSN: 1432-5217. It is often objected that we cannot use mathematical methods in finance because (1) finance is dominated by unpredictable unique events (the black swans), (2) there are qualitative effects that cannot be quantified, and (3) the laws themselves of finance keep on changing. In this paper we discuss these three objections, offering arguments to reject them. We begin by reviewing the development of the physical sciences, pointing out parallels that are relevant for our discussion. Modern science has abandoned the objective of describing reality and has adopted an operational point of view that regards physical laws as tools to connect observations. Modern science is no longer deterministic, but has accepted a fundamental uncertainty in physical laws both at micro and macroscopic levels. Unpredictable pivotal events exist in the physical sciences as well in finance but this does not lead us to question the use of mathematics in the physical sciences. On the contrary, using principles of safe design, we try to understand how to avoid and contain unpredictability. Financial markets are manmade artifacts with, as actors, a large number of interacting agents. If we so wish, we can reduce the level of uncertainty present in markets: But if we try to do so describing financial markets with simple mathematical laws, we find that these laws are not stable but change over time, eventually with sudden structural breaks. This makes the use of mathematical finance difficult but not impossible. We can forecast human decision-making processes, crucial in forecasting financial markets, at the statistical level in aggregate. From an operational point of view, we have the tools to understand and describe the behavior of large number of interacting agents. At the present stage of development of our science, we need to use the mathematics of adaptive systems, changing mathematical models in function of different market states. However, reductionism to a small number of basic laws remains a fundamental objective of financial economics as it is in the physical sciences. Quantitative Finance, 8 (7), p. 649-665, 2008. Quantitative equity management has mushroomed recently and now represents a respectable fraction of equity asset management. But since mid-2007, it has been facing its first widespread crisis—with many quantitative managers underperforming all at once and by large margins. Using a survey plus conversation method, the authors of this lively and comprehensive book probe the minds of “quants” who are actively using factor models and security-level optimization to manage stock portfolios. The authors report their findings about how quants define quantitative equity management, run a quant business, and implement their processes (in particular, build their models). Then, the authors turn to why the performance of quant funds fell apart in the summer of 2007 and what the new challenges are. Journal of Post Keynesian Economic, 29 (3), p. 363-391, 2007. There are many conflicting interpretations of security prices and price determination in financial markets. They range from academic theories based on efficient markets and rational expectations hypotheses, to more traditional methods of fundamental analysis, to theories of "value" and "growth" investing, to chart-reading and technical analysis, to notions such as "reflexivity." These interpretations are logically inconsistent with each other, but they seem to co-exist, sometimes even on the same trading desk. In this paper, we seek to formulate an explanation for this strange coexistence, using some tools from critical theory to understand how financial markets operate. Structuralism is used to analyze various kinds of narratives appearing in the financial literature, which are intended to have explanatory force, and appearance of sometimes contradictory elements in such narratives; post-structuralism is used to explain the way in which contradictory interpretations co-exist. We discuss some practical implications for security valuation, option valuation, trading strategies, market risk management, and volatility estimation. Quantitative Finance, 7 (2), p. 115-122, 2007. The Journal of Portfolio Management, 33 (3), p. 40-48, 2007. As quantitative techniques have become commonplace in the investment industry, the mitigation of estimation and model risk in portfolio management has grown in importance. Robust optimization, which incorporates estimation error directly into the portfolio optimization process, is typically used with conventional robust statistical estimation methods. This perspective on the robust optimization approach reviews useful practical extensions and discusses potential applications for robust portfolio optimization. Journal of Investing, 15 (3), p. 8-18, 2006. In this article the authors provide a simple but rigorous mathematical framework for time diversification. Based on this framework, we provide a measure of time diversification that can be computed for any return distribution model and any risk measure; this measure of time diversification can be empirically ascertained with non-parametric estimates of risk and with bootstrap techniques to simulate the return distribution. The authors argue that the critical issue of time diversification is not how to interpret time diversification in sequences of IID returns, but how to make long-term forecasts. The latter involves complex issues related to the distributional properties of returns, as well as memory effects and regime shifts. The authors then discuss how the distributional properties of stock returns, long memory, and regime shifts affect time diversification. Research Foundation of CFA Institute Monograph, 36 (3), 2006. This introduction to recent developments in modeling equity returns provides a plain-English, formula-free review of quantitative methods—in particular, the trade-offs that must be made among model complexity, risk, and performance. The authors also include the results of a 2005 survey of the modeling practiced at 21 large asset management firms. Journal of Trading, 1 (2), p. 28-37, 2006. The simplicity and the intuitive appeal of portfolio construction using modern portfolio theory have attracted significant attention both in academia and in practice. Yet, despite considerable effort it took many years until portfolio managers started using modern portfolio theory for managing real money. Unfortunately, in real world applications there are many problems associated with it, and portfolio optimization is still considered by many practitioners to be difficult to apply. Introducing a simple crosssectional momentum strategy, we show how we can combine this strategy with market equilibrium using the Black-Litterman model in the mean-variance framework to rebalance the portfolio on a monthly basis. Risk Letters, 1 (2), 2005. Journal of Pension Economics and Finance, 4 (3), p. 313-327, 2005. This paper takes a look at the modeling side of pension fund management. It is based on interviews with pension fund managers, regulators, consultants, and academics in four countries – the Netherlands, Switzerland, the United Kingdom, and the United States. The objective was to understand, through the experience of market participants, the role of modeling in managing defined-benefit pension funds. The 28 defined-benefit pension funds participating in the study have a total of €334 billion ($436 billion) assets under management. The findings of our study show that modeling is now considered an indispensable tool by many market participants. The need to manage the risk inherent in defined-benefit pension plans is the key motivation behind the growing use of modeling. In the Netherlands, for example, where private-sector plans did not experience serious underfunding problems after the 2000 market crash, the use of modeling is widespread and well-integrated in the decision-making process. Dutch regulators have recently mandated a risk-based approach and specified broad principles of sound modeling, including the marking to market of assets and liabilities. Journal of Alternative Investments, 8 (2), p. 71-79, 2005. The easy accessibility of high-speed computing power and the dominant role of institutional trading in recent years have resulted in the inevitable trend of implementing quantitative research and investment strategies. The gradual move of replacing traditional human judgments with machine calculations is based on the assumption that computers outperform most humans. Since a quantitative process is capable of systematically handling a large amount of information quickly and consistently, ambiguity and unpredictability which are often associated with subjective choices during decision making can be kept to a minimum. For fact or fancy, most modern portfolio managers include some form of quantitative approach in their overall investment process. This article explains the process of performing quantitative research and converting that research into implementable trading strategies. It seeks to reconcile the best of both worlds and identify concerns in the process of investment research and management. Journal of Risk Finance, 6 (3), p. 208-225, 2005. Purpose – This paper seeks to discuss a modeling tool for explaining credit-risk contagion in credit portfolios. Design/methodology/approach – Presents a “collective risk” model that models the credit risk of a portfolio, an approach typical of insurance mathematics. Findings – ACD models are self-exciting point processes that offer a good representation of cascading phenomena due to bankruptcies. In other words, they model how a credit event might trigger other credit events. The model herein discussed is proposed as a robust global model of the aggregate loss of a credit portfolio; only a small number of parameters are required to estimate aggregate loss. Originality/value – Discusses a modeling tool for explaining credit-risk contagion in credit portfolios. Finance Letters, Special Issue on Financial Modeling of the Equity Markets, 3 (1), 2005, ISBN: 13-978-0471-69900-2. John Wiley & Sons,105 pages, 2016. An accessible guide to the growing field of financial econometrics As finance and financial products have become more complex, financial econometrics has emerged as a fast-growing field and necessary foundation for anyone involved in quantitative finance. The techniques of financial econometrics facilitate the development and management of new financial instruments by providing models for pricing and risk assessment. In short, financial econometrics is an indispensable component to modern finance. The Basics of Financial Econometrics covers the commonly used techniques in the field without using unnecessary mathematical/statistical analysis. It focuses on foundational ideas and how they are applied. Topics covered include: regression models, factor analysis, volatility estimations, and time series techniques. In addition, an associated website contains a number of real-world case studies related to important issues in this area. - Covers the basics of financial econometrics—an important topic in quantitative finance - Contains several chapters on topics typically not covered even in basic books on econometrics such as model selection, model risk, and mitigating model risk - A companion website includes mini-cases that explain important topics in portfolio management, credit risk modeling, option pricing, and risk management Geared towards both practitioners and finance students who need to understand this dynamic discipline, but may not have advanced mathematical training, this book is a valuable resource on a topic of growing importance. The mathematical and statistical tools needed in the rapidly growing quantitative finance field With the rapid growth in quantitative finance, practitioners must achieve a high level of proficiency in math and statistics. Mathematical Methods and Statistical Tools for Finance, part of the Frank J. Fabozzi Series, has been created with this in mind. Designed to provide the tools needed to apply finance theory to real world financial markets, this book offers a wealth of insights and guidance in practical applications. It contains applications that are broader in scope from what is covered in a typical book on mathematical techniques. Most books focus almost exclusively on derivatives pricing, the applications in this book cover not only derivatives and asset pricing but also risk management—including credit risk management—and portfolio management. - Includes an overview of the essential math and statistical skills required to succeed in quantitative finance - Offers the basic mathematical concepts that apply to the field of quantitative finance, from sets and distances to functions and variables - The book also includes information on calculus, matrix algebra, differential equations, stochastic integrals, and much more - Written by Sergio Focardi, one of the world's leading authors in high-level finance Drawing on the author's perspectives as a practitioner and academic, each chapter of this book offers a solid foundation in the mathematical tools and techniques need to succeed in today's dynamic world of finance. A comprehensive look at how probability and statistics is applied to the investment process Finance has become increasingly more quantitative, drawing on techniques in probability and statistics that many finance practitioners have not had exposure to before. In order to keep up, you need a firm understanding of this discipline. Probability and Statistics for Finance addresses this issue by showing you how to apply quantitative methods to portfolios, and in all matter of your practices, in a clear, concise manner. Informative and accessible, this guide starts off with the basics and builds to an intermediate level of mastery. - Outlines an array of topics in probability and statistics and how to apply them in the world of finance - Includes detailed discussions of descriptive statistics, basic probability theory, inductive statistics, and multivariate analysis - Offers real-world illustrations of the issues addressed throughout the text The authors cover a wide range of topics in this book, which can be used by all finance professionals as well as students aspiring to enter the field of finance. A comprehensive look at the tools and techniques used in quantitative equity management Some books attempt to extend portfolio theory, but the real issue today relates to the practical implementation of the theory introduced by Harry Markowitz and others who followed. The purpose of this book is to close the implementation gap by presenting state-of-the art quantitative techniques and strategies for managing equity portfolios. Throughout these pages, Frank Fabozzi, Sergio Focardi, and Petter Kolm address the essential elements of this discipline, including financial model building, financial engineering, static and dynamic factor models, asset allocation, portfolio models, transaction costs, trading strategies, and much more. They also provide ample illustrations and thorough discussions of implementation issues facing those in the investment management business and include the necessary background material in probability, statistics, and econometrics to make the book self-contained. - Written by a solid author team who has extensive financial experience in this area - Presents state-of-the art quantitative strategies for managing equity portfolios - Focuses on the implementation of quantitative equity asset management - Outlines effective analysis, optimization methods, and risk models In today's financial environment, you have to have the skills to analyze, optimize and manage the risk of your quantitative equity investments. This guide offers you the best information available to achieve this goal. A comprehensive guide to financial econometrics Financial econometrics is a quest for models that describe financial time series such as prices, returns, interest rates, and exchange rates. In Financial Econometrics, readers will be introduced to this growing discipline and the concepts and theories associated with it, including background material on probability theory and statistics. The experienced author team uses real-world data where possible and brings in the results of published research provided by investment banking firms and journals. Financial Econometrics clearly explains the techniques presented and provides illustrative examples for the topics discussed. Svetlozar T. Rachev, PhD (Karlsruhe, Germany) is currently Chair-Professor at the University of Karlsruhe. Stefan Mittnik, PhD (Munich, Germany) is Professor of Financial Econometrics at the University of Munich. Frank J. Fabozzi, PhD, CFA, CFP (New Hope, PA) is an adjunct professor of Finance at Yale University’s School of Management. Sergio M. Focardi (Paris, France) is a founding partner of the Paris-based consulting firm The Intertek Group. Teo Jasic, PhD, (Frankfurt, Germany) is a senior manager with a leading international management consultancy firm in Frankfurt. The tools of financial econometrics play an important role in financial model building. The most basic tool is in financial econometrics is regression analysis. The purpose in regression analysis is to estimate the relationship between a random variable and one or more independent variables. To understand and apply regression analysis one must understand the theory and the methodologies for estimating the parameters of the regression model. Moreover, when the assumptions underlying the model are violated, it is necessary to know how to remedy the problem. Chapitre What Can We Understand About Economics?, 2010. The root cause of the financial crisis that erupted in 2008 is psychological. In the events which led up to the crisis, heuristics, biases, and framing effects strongly influenced the judgments and decisions of financial firms, rating agencies, elected officials, government regulators, and institutional investors. Examples involving UBS, Merrill Lynch, Citigroup, Standard & Poor’s, the SEC, and end investors illustrate this point. Among the many lessons to be learned from the crisis is the importance of focusing on the behavioral aspects of organizational process. Sons, John Wiley &amp; (Ed. ): 2008. More and more quantitative models have started to find their way into the investment management industry. Typically, the quantitative efforts at firms start with risk management functions and portfolio optimization. Needless to say, there are many areas beyond these were quantitative methods are valuable. First, for example, the usage of equity derivatives allow investors to change the risk and return characteristics of their equity investment portfolio. Second, in international portfolios, beyond asset specific risk, portfolio managers are faced with currency risk and have to decide on how much of this risk they want to hedge. Quantitative optimization tools can be very helpful in dealing with both of these issues. Quantitative forecasting tools are increasing in importance. Momentum, reversals, and regression-based strategies have traditionally been the “bread and butter” for many traders, but other more sophisticated econometric techniques are now being used more broadly such as vector autoregressive models, dynamic factor and state space models, and cointegration. A very important part of any modeling effort is the model selection process and the implementation of a rigorous testing methodology in order to avoid model overfitting and data snooping biases. Algorithmic trading (that is, trade execution based on quantitative models) is now a more widespread tool throughout the investment management industry and most major brokers offer these services in some form. Common stock portfolio strategies can be classified as active and passive. The selection of a strategy depends on the risk tolerance of the investor and the investor's view of the efficiency of the stock market. Investors who believe the stock market is efficient would tend to favor a passive strategy such as indexing; investors who believe the stock market is inefficient will embrace an active strategy. There are numerous types of active strategies pursued by investors in the stock market. Among these, equity style management, the attempt to identify groups of stocks that are mispriced relative to the rest of the market, has become a popular active strategy. Trading costs can be classified as fixed versus variable transaction costs and explicit versus implicit transaction costs. Portfolio managers and traders need to be able of effectively model the impact of trading costs of their portfolios and trades. In doing so, they seek to minimize the total transaction costs. There are several approaches for the modeling of transaction costs in portfolio optimization models and optimal execution applications. Sons, John Wiley &amp; (Ed. ): 2 , Chapitre Handbook of Finance, 2008, ISBN: 978-0-470-07815-0. Volume II: Investment Management and Financial Management focuses on the theories, decisions, and implementations aspects associated with both financial management and investment management. It discusses issues that dominate the financial management arena—capital structure, dividend policies, capital budgeting, and working capital—and highlights the essential elements of today's investment management environment, which include allocating funds across major asset classes and effectively dealing with equity and fixed income portfolios. Incorporating timely research and in-depth analysis, the Handbook of Finance is a comprehensive 3-Volume Set that covers both established and cutting-edge theories and developments in finance and investing. Other volumes in the set: Handbook of Finance Volume I: Financial Markets and Instruments and Handbook of Finance Volume III: Valuation, Financial Modeling, and Quantitative Tools. Fabozzi, Frank (Ed. ): 3 , 2008, ISBN: 978-0-470-07816-7. Volume III Valuation, Financial Modeling, and Quantitative Tools contains the most comprehensive coverage of the analytical tools, risk measurement methods, and valuation techniques currently used in the field of finance. It details a variety of concepts, such as credit risk modeling, Black-Scholes option pricing, and Monte Carlo simulation, and offers practical insights on effectively applying them to real-world situations. Incorporating timely research and in-depth analysis, the Handbook of Finance is a comprehensive 3-Volume Set that covers both established and cutting-edge theories and developments in finance and investing. Other volumes in the set: Handbook of Finance Volume I: Financial Markets and Instruments and Handbook of Finance Volume II: Investment Management and Financial Management." Sons, John Wiley &amp; (Ed. ): 2006. It is well known that applying classical portfolio optimization in practice may lead to problems; in fact, the “optimal” portfolio may not be optimal at all. The problems encountered in real-world portfolio optimization include issues such as unstable portfolio weights, corner solutions, and poor performance. Some portfolio managers are using Bayesian estimation techniques and robust portfolio optimization to mitigate some of these problems. The Black-Litterman framework has become more popular among practitioners as it provides a flexible yet robust quantitative portfolio management tool, into which different trading strategies are easily incorporated. Namatame, Akira ; Kaizouji, Taisei ; Aruka, Yuuji (Ed. ): 567 (2006), p. 239-247, Springer-Verlag, Berlin, Germany, 2006, ISBN: 978-3-540-28727-8. In this paper, the statistical properties of high-frequency data are investigated by means of computational experiments performed with the Genoa Artificial Stock Market (Raberto et al. 2001, 2003, 2004). In the market model, heterogeneous agents trade one risky asset in exchange for cash. Agents have zero intelligence and issue random limit or market orders depending on their budget constraints. The price is cleared by means of a limit order book. The order generation is modelled with a renewal process where the distribution of waiting times between two consecutive orders is a Weibull distribution. This hypothesis is based on recent empirical investigation made on high-frequency financial data (Mainardi et al. 2000, Raberto et al. 2002, Scalas et al. 2003). We investigate how the statistical properties of prices and of waiting times between transactions are affected by the particular renewal process chosen for orders. Results point out that the mechanism of the limit order book is able to recover fat tails in the distribution of price returns without ad-hoc behavioral assumptions regarding agents; moreover, the kurtosis of the return distribution depends also on the renewal process chosen for orders. As regarding the renewal process underlying trades, in the case of exponentially distributed order waiting times, also trade waiting times are exponentially distributed. Conversely, if order waiting times follow a Weibull, the same does not hold for trade waiting times. Lux, Thomas ; Samanidou, Eleni ; Reitz, Stefan (Ed. ): 550 (2005), p. 305-315, Springer-Verlag, Berlin, Germany, 2005, ISBN: 978-3-540-27296-0. In this paper, we present an extension of the Genoa artificial stock market (GASM) (Raberto et al., 2001) that includes a limit order book as mechanism for price formation. At every time step an agent is chosen with uniform distribution to issue an order. The order can be a limit order or a market order. If the order is a limit order, it is stored in the book; if the order is a market order, a transaction occurs. Prices are formed at variable time steps, i.e., only when a market order is issued. We investigate how the new asynchronous trading mechanism affects the statistical properties of simulated prices. This computational experiment shows that the fat tails of the returns distribution can be recovered simply as a consequence of the limit order book without any additional assumption on agents' behavior. Focardi, S.; Raberto, M.; Ponta, L.
EAEPE Annual Conference, Budapest, 19-21 October , 2017.